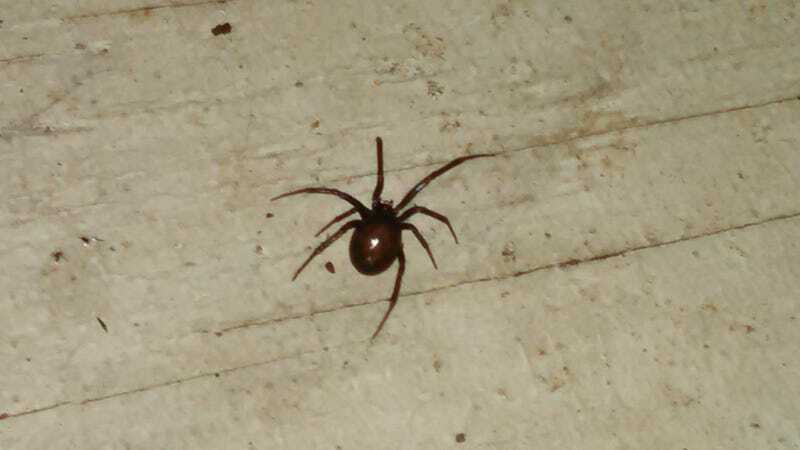 For the uninitiated, this is the a type of false black widow. Though they are lesser compared to the "real" black widow, their bites are still said to be very, very nasty. I highly suggest you not use google images, and enter "false black widow bite." That's the last thing I would do. To suggest to do the thing I just mentioned. This one was about a 50-cent piece's legspan, though I've found one much larger in my shed last year. Anyway, I removed a rotted board that had been a free rodent access for a while, and about 12 of these little buddies just crawled out all over.